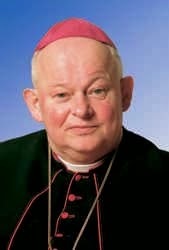 Bishop Kurt Krenn -- "Concern for the Church Determined His Life"
(St. Pölten) The Austrian Diocese of Sankt Pölten published an obituary by Bishop Klaus Küng on Former Bishop Kurt Krenn his predecessor, who passed away on Saturday at 20:17 after a long illness at the age of 78. Bishop Kurt Krenn was Auxiliary Bishop of the Archdiocese of Vienna from 1987 to 1991 and from 1991 to 2004 the Diocesan Bishop of St. Pölten. Bishop Krenn, a staunch defender of the Church, then yielded, almost ten years ago, on the 29th of September 2004 when he was informed by the already seriously ill Pope John Paul II, that he wished for his resignation. Krenn obeyed, resigned, and has since led a reclusive life, increasingly marked by the illness of a broken fighter. A courageous warrior, on whom great injustice was inflicted, he was an intrepid Catholic voice that was brought too soon to silence. 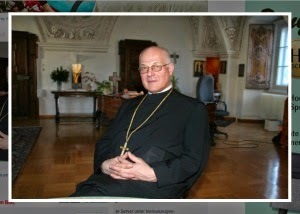 We document the opinion of Bishop Klaus Küng on the death of Bishop Kurt Krenn. 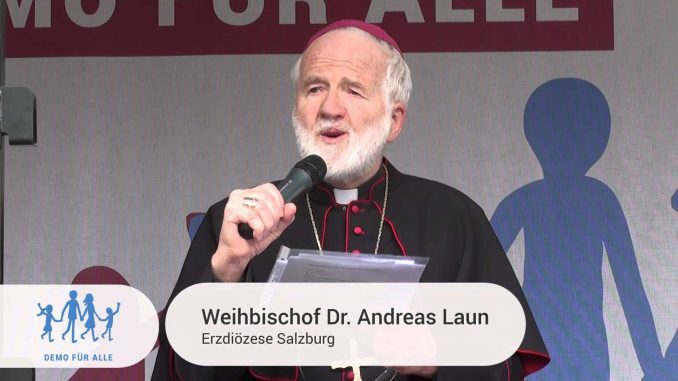 "Concern for the Church has Determined his Life"
"Looking back on every life there is light and shadow," said Bishop Küng, "and sometimes it comes in considering a controversial man where one has to decide where the light ends and the shadow begins. Bishop Kurt may have had weaknesses, his appearances and utterances must have irritated some people, yes, annoyed and offended. We also do not forget that his concern for the Church and Her mission determined his life. In this respect, he can be a role model for each and every one of us." 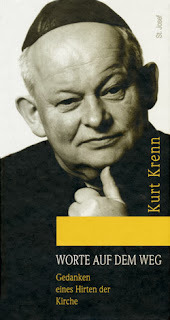 Kurt Krenn was born on 28 June 1936 in Rannariedl (Upper Austria), the second in a family of six children of the teacher Karl Krenn, who died in the war. He graduated from elementary school in Oberkappel and high school in Schlierbach. In 1954 he entered the seminary Linz and studied theology first at the Philosophical-Theological Educational Institute Linz, then philosophy and theology at the Gregorian University and Canon Law at the Lateran University in Rome. On 7 October 1962, he was ordained in the Church of St. Ignatius in Rome as a priest. This was followed by studies in Tübingen and Munich, where he worked from 1966 - 1970 as an assistant at the Faculty of Theology. 1970 - 1975 he was a professor of philosophy at the Philosophical-Theological College in Linz and for 3 semesters a lecturer at the Theological College of St. Pölten, 1975, he became appointed a full professor in the Department of "Systematic Theology" at the Faculty of the Catholic Theological Faculty at the University of Regensburg. "As a professor, he was adored by quite a few," recalls Bishop Küng. "His manner of performance was distinguished by clarity and depth with the special ability to show the big picture as well as with references to current problems. He had a very good memory and a brilliant gift for formulation, was very approachable in conversation, even with ordinary people. He was distinguished by his love for conversation. " Krenn has eager to help pastorally during his time in Regensburg in his home town, and was also there for the celebration of religious services and issues of special concern such as Pro-Life activities. When Kurt Krenn was appointed on 3 March as the Auxiliary Bishop of Vienna in 1987, he experienced much resistance from the very beginning in which he did not shrink from confrontation. Entrusted with the fields of art, culture and science, he ably made his views known in lectures, sermons and interviews. "For him it was all about the mission of the Church as the herald of truth for the people of all times, even our time," says Bishop Küng. "Especially engaged, he defended the right to life of every human being from the moment of conception to natural death, trying to use every opportunity to study the role of the family in the development of society and the importance rooted in human nature itself, to explain established human sexuality and to identify the correct understanding of conscience, especially in its relation to God's Commandments. The discussions, which he engaged, however, were often fierce." 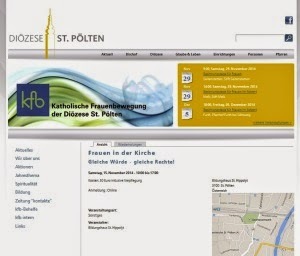 Bishop Krenn's work as diocesan bishop of St. Pölten was then - probably just because of those previous discussions - "very difficult," says Küng. " Bishop Krenn did not succeed in defusing the resulting polarization with time. This has unfortunately played a role in reinforcing that over the course of years.. That is why it is still not easy, to do justice to his person, his efforts and his role. Those who knew him well know that he has not suffered just a little from the situation, it also shouldn't be overlooked that in the resulting tensions many others suffered as well. " In the religious field, democracy and truth are not necessarily connected with each other: one can err democratically and undemocratically, a majority still doesn't determine truth. As Jesus once asked his disciples, who do they say He is, he got different answers: John the Baptist, Elijah, Jeremiah or some other prophet. It was reserved to Peter not to give answer for the polls but the true answer: You are the Christ, the Son of the living God (cf. Mt 16, 13-19). On Peter, Christ founded his Church and their faith. 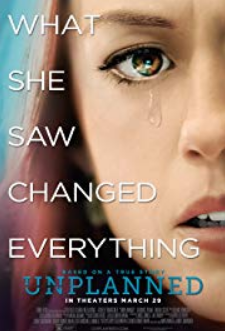 Once it was hoped to reduce cases of abortion by unauthorized contraception, yet it is already evident now long the deceptive is the illusion of such a hope. Sexuality is a gift from the order of the Creator, irrevocably linked to the married couple, was offered to children and young people as a social and cultural accomodation, that has long led it since on its own path of the destruction of souls and can not be controlled by the free gifts of contraceptives. Wherefore, God gave them up to the desires of their heart, unto uncleanness: to dishonour their own bodies among themselves. Who changed the truth of God into a lie and worshipped and served the creature rather than the Creator, who is blessed for ever. Amen. For this cause, God delivered them up to shameful affections. For their women have changed the natural use into that use which is against nature. And, in like manner, the men also, leaving the natural use of the women, have burned in their lusts, one towards another: men with men, working that which is filthy and receiving in themselves the recompense which was due to their error. And as they liked not to have God in their knowledge, God delivered them up to a reprobate sense, to do those things which are not convenient. Being filled with all iniquity, malice, fornication, avarice, wickedness: full of envy, murder, contention, deceit, malignity: whisperers, Detractors, hateful to God, contumelious, proud, haughty, inventors of evil things, disobedient to parents, Foolish, dissolute: without affection, without fidelity, without mercy. Who, having known the justice of God, did not understand that they who do such things, are worthy of death: and not only they that do them, but they also that consent to them that do them.(cf. Rom 1, 24-32). In the background, faithful obedience is the reality of the Holy Trinity: one God in three persons, one God in three equals the Deity. Also in the mysterious Trinity, between peers obedience is nothing more than love for each other, the Father is not the Son, the Son is not the Holy Spirit, the Holy Spirit is not the Father, the difference of the same is and stands still not in the way of the most perfect union of equals. Anyone who thinks theologically, can immediately understand those relationships of obedience just in the Trinity, the most perfect reality of all realities, not the preserve of dependence but love in the differences and yet the most perfect of all communities. The Church recognizes the "right to Eucharist" not as a collective right of the community, but as a personal invitation to the faithful, who are in turn personally bound to the celebration of the Sunday mass. Right now is the moment of truth that the faithful take their Sunday obligation seriously and conscientiously attend the Eucharist every Sunday and holiday. An outward fulfillment of the Sunday obligation is not sufficient. It must bear the celebration of the liturgy in faith and reverence. Beyond all activities and external forms, events filled with the inner grace of the Eucharist raise the faithful: the true consummation of the work of our redemption. Our least brethren and sisters, the unborn children, these may concern both Church and State, who seeks or justifies seemingly licit means to eliminate the unborn. Christ suffers in the fetus in which the absence of love means death. We appeal to the conscience of all educated people, which remains today in many systems of injustice as the only protection for our most vulnerable children of men. We must always remember the truth about man and return to the truth of God. In this question there is no escape and deception. It is Christians with conscience and fear of God, who must raise their voices. Do not remain silent and also act in forming this question in your political judgment that is consistent with the teaching of the Church.